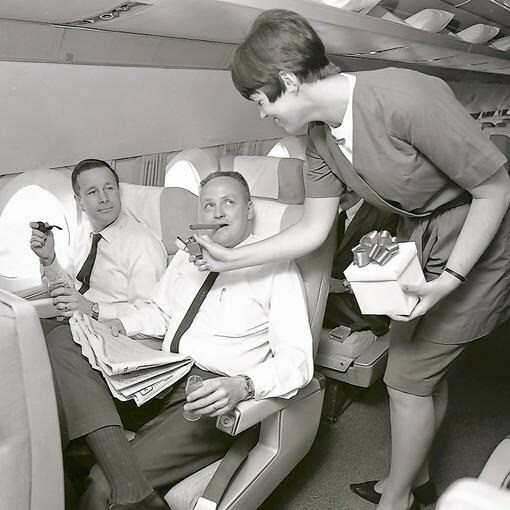 The flights operated between NYC and Chicago and LA and San Francisco, came with complimentary cigars and specially prepared meals, and were off-limits to women and children; some services were co-branded with the Wall Street Journal. The flights flew at 5PM in both directions, and came with teletype updates on business news, as well as "last minute messaging" to allow captains of industry to command their underlings before taking off. United Had Men-Only Flights Until 1970. Here’s the Manly Services They Offered.